MEPhI is a research and educational center with honourable traditions and a clear vision of the future where world’s best tech experts excel in creating applicable science, boost economic output in various fields, support industry and business. MEPhI is a leading Russian university which augments its positions on the global educational scene. MEPhI is proud of ambitious and skilled experts in science and engineering who graduated the University since its establishment in 1942. Six Nobel laureates contributed to educational process and research activities at MEPhI. And now relying on extensive experience we are creating a future with a new generation of explorers and inventors. Walking around campus and seeing students from Europe and Asia, as well as international scholars from MIT and Berkeley, you’d be surprised to find out that MEPhI was a closed, strategic facility until the 2000’s. But, that has changed significantly. Beyond Moscow, MEPhI has 21 satellite campuses, located in 20 cities all over Russia. It combines 11 Higher Education Institutions and 20 colleges, totaling over 38,000 students and over 1500 full and associate professors. The Moscow branch has 8,000 students and 800 faculty. MEPhI is a global university. It has adapted the European Bologna education process, and now offers BS, MS and PhD programs. It is also a member of the CDIO (Conceive, Design, Implement and Operate), ENEN (European Nuclear Education Network), STAR-NET (Regional Network for Education and Training in Nuclear Technology) international communities and offers a growing number of programs and courses in English. MEPhI is the base organization of the CIS member states for training, retraining and advanced training of personnel in the field of using atomic energy for peaceful purposes. By 2020, MEPhI plans to have 15% international faculty and staff members and 21% international students. We have our own pool-type research reactor, with “blue glow”, discovered by Cherenkov, one of the university’s co-founders. MEPhI has undergraduate and graduate students from Turkey, Vietnam, Jordan, Mongolia, latvia, Montenegro, Bulgaria and Unated States of America. 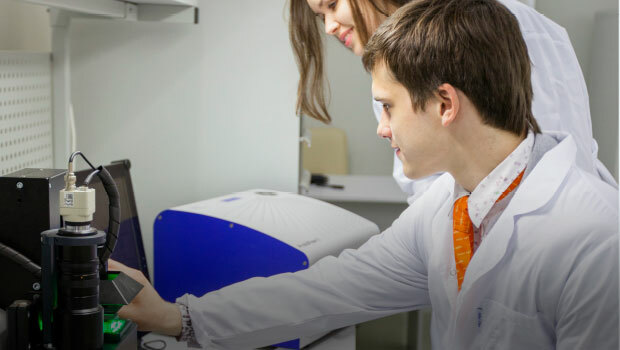 MEPhI generates scientific knowledge, disseminates and preserves it aiming to address global challenges of the XXI century, as well as to provide innovative transformations in Russia accompanying development of country's competitiveness in global energy and non-energy high-tech markets. MEPhI faculty and students actively solve complex issues in high-priority fields. They vary from nuclear energy to nanotechnology, medicine to ecology, IT to innovation management. The new The new MEPhI Strategic Academic Units (StrAUs) bring together traditional departments around strategic areas to accelerate discoveries and create real impact. MEPhI exports branch campuses, attracts students and researchers and collaborates with research partners. We invite talented people to apply for one of our interdisciplinary study programs in Russian and English, join the team as a professor or partner, or simply be a supporter. Everything in MEPhI is based on the principles of openness, internationalism, and innovation.